Boriana Cavicchia is currently a program analyst supportingthe Office of Research and Development, Veterans Health Administration, VA. Her duties include program analysis, processimprovement, and data analytics. Boriana has over fifteen years experience in the areas ofcold chain logistics, supply chain management, and quality systems applied tobiologics. She had established best practicesand implemented quality compliance in temperature controlled Storage and Distributionof blood and cellular therapy products. 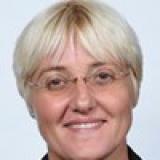 Boriana is a co-author of international industry guidelines:PDA Technical Report No. 64 “Active Temperature-Controlled Systems:Qualification Guidance”, Technical Report No. 58 “Risk Management forTemperature Controlled Distribution”, and PDA Technical Report No 44, Annex D “Controlof Logistics Channels for Refrigerated Liquid Parenteral Product Manufacturedand Maintained in Bulk Hold Pending Packaging”. Boriana had presented at a numerous conferences such as PDAPharmaceutical Cold Chain Management Conference, IQPC Conference onTransportation & Transfer for Biologics and Biological Agents, and the AmericanSociety for Quality, Biomed/Biotech Special Interest Group. Boriana worked at the American Red Cross BiomedicalServices as a Director of Quality Systems supporting the Shipping anddistribution of blood and blood components, at Baxter BioScience supportingmanufacturing, storage, and distribution of vaccines, and at PricewaterhouseCoopers PRTM Management Consulting providing consulting services for theHealthcare group. Check out the incredible speaker line-up to see who will be joining Boriana.